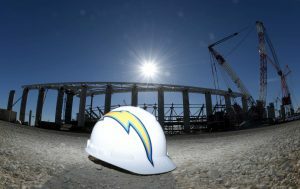 The Chargers’ viability in the Los Angeles market was an informal topic of discussion at recent league meetings, according to Seth Wickersham of ESPN.com. 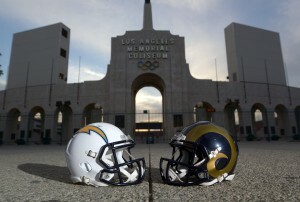 However, the Chargers are essentially locked into the city of Los Angeles, as the club agreed to a 20-year lease to share the Rams’ new stadium in Inglewood beginning in 2020, per Mike Florio of Pro Football Talk. No owner officially broached the Chargers’ plans in Los Angeles at the NFL’s meetings, but there was reportedly concern after the team revised its revenue projections from $400MM down to $150MM. That alteration is likely due to lower ticket prices, as the Chargers recently announced plans for cheaper seats that come with personal seat licenses. But sources tell Florio the Chargers don’t have the option to leave Los Angeles, barring an unforeseen breach of contract with Rams owner — and Los Angeles Stadium at Hollywood Park builder — Stan Kroenke. Not only did the Chargers sign up for a 20-year lease, but the club also has two 10-year options tacked onto the end of the deal. Moreover, the Chargers have no incentive to back out of the stadium deal, as Florio explains. The Chargers won’t pay any construction costs for their new stadium, and won’t be responsible for any cost overruns. Instead, they’ll essentially be acting as a tenant of the Rams, not a co-owner. The Chargers are in a “Fight For L.A.” and, so far, they’re losing. The Bolts are 0-4 and playing in front of crowds that cannot fill up the 27,000 StubHub Center, but the league says it will not reverse course on the move. “There is no discussion of returning to San Diego from the league or the club,” a league spokesperson told Adam Schefter of ESPN.com (on Twitter). We’re only one month into the Chargers’ inaugural season in Los Angeles, but it already looks like the team and the league may have made a judgement error. The Chargers have failed to forge a fanbase in a city where many residents cheer for the Raiders and most of the others have already aligned themselves with the Rams. That could all change quickly if the Chargers start winning games, but they’re on pace to miss the postseason for the fourth consecutive year. The Chargers are slated to move into Rams owner Stan Kroenke’s Inglewood stadium in 2020. If things don’t pick up in the interim, the league may want to reconsider their gameplan. The Chargers will have a new home in 2017: The franchise could announce as early as Thursday that it’s moving from San Diego to Los Angeles, reports ESPN’s Adam Schefter (Twitter link). In doing so, the Chargers will end their 55-year run in San Diego and join the Stan Kroenke-led Rams, who departed St. Louis for LA last winter. The Chargers and Rams agreed in principle to a deal last January to share a stadium in Inglewood, which is currently under construction and set to open in 2019. 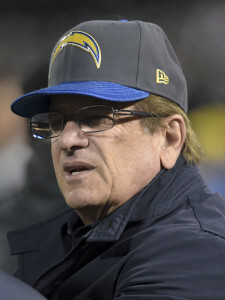 Chargers owner Dean Spanos could have headed to LA then, but he instead kept the franchise in San Diego for 2016 in hopes of working out a new stadium deal there. Spanos was unable to make anything happen in San Diego, however, as the money the city, the county, the Chargers and the league had combined to commit still fell $175MM short of what a Qualcomm Stadium replacement would have cost. Spanos had until Jan. 17 to strike a deal in San Diego and avoid relocation, but he is abandoning that possibility less than a week before the deadline. It’s unclear where the Chargers will play the next couple seasons as they wait for the Inglewood facility to open. They could share the Los Angeles Coliseum with the Rams and USC Trojans, though the StubHub Center in Carson, Calif., has also come up as a potential stopgap. However, that stadium is only capable of holding 27,000 people. The Chargers called the Coliseum home in 1960, their inaugural season, before relocating to San Diego the next year. That partnership worked out for five and a half decades, but now the Chargers are headed back to where they began. With the Bolts’ future now known, all eyes will turn to the Raiders, who could also go elsewhere – Las Vegas – by next season. The Raiders were an outside possibility for LA, but that’s now officially off the table. The franchise has until Feb. 15 to file for Vegas relocation, and the league’s 31 other owners could vote on its fate sometime in March. The Chargers had been facing a Jan. 15 deadline to decide whether to join the Rams in Los Angeles by next season, but the NFL pushed that date back Wednesday, per the Associated Press. The Bolts now have until Jan. 17 to choose their fate, and the league is still holding out hope that they’ll remain in San Diego, a source told Kevin Acee of the San Diego Union-Tribune. However, the league won’t prevent owner Dean Spanos from relocating the team if he’s unable to find a stadium solution in San Diego, another source informed Acee. 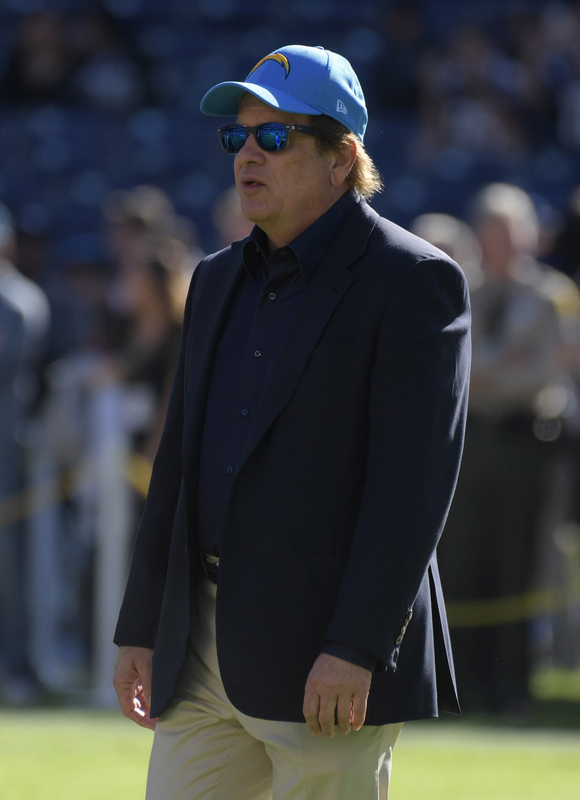 Spanos doesn’t seem eager to leave San Diego, but he also hasn’t made enough progress toward a new facility that would replace the 50-year-old Qualcomm Stadium. As of last week, the Chargers were of the belief that a $100MM to $175MM gap existed between the funds the city, county, league and team were willing to put forth and what a new stadium would actually cost. That remains the case, per Acee, who now lists the figure at exactly $175MM. The Chargers would welcome more financial aid from the league, but its owners – especially the Rams’ Stan Kroenke – haven’t shown any urgency to make that happen, according to Jason Cole of Bleacher Report (Twitter link). With that in mind, the Chargers are operating as if they’re about to relocate, Acee reports. The franchise has already drafted a press release and planned a news conference, though Acee adds that it did the same a year ago before delaying its LA decision. The league’s stadium and finance committees met Wednesday to discuss the futures of the Chargers and Raiders, but the latter club was the primary focus. “There was little to no discussion on the topic of the Chargers,” league executive Eric Grubman revealed. The Raiders have until Feb. 15 to file for relocation to Las Vegas, where businessman Sheldon Adelson could contribute $650MM to a $1.9 billion stadium. The two sides continue making progress after some previous hiccups in negotiations, tweets Cole, but the Raiders aren’t going to be content to let their Vegas dreams slip away if Adelson backs out. “The Raiders are looking at the potential of doing [it] without Mr. Adelson if it comes down to that,” said Steelers owner Art Rooney II, who’s also chairman of the league’s stadium committee. There’s no word on exactly how the Raiders would raise $650MM in Adelson’s absence. The team is set to put forth $500MM toward the cause, while Nevada Gov. Brian Sandoval and state Legislature previously signed off on contributing a record $750MM in public funds. The Raiders have long been preparing to file for Las Vegas relocation after the season, but owner Mark Davis’ relationship with casino mogul Sheldon Adelson has hit rough patches along the way. Adelson, who could commit $650MM to a $1.9 billion stadium in Las Vegas, threatened to bail out in October. That preceded a December report stating he and Davis had continued to encounter difficulties in their talks. It now appears the two sides are on the right track, though, as they’ve “made significant progress” in negotiations, according to Jason Cole of Bleacher Report (Twitter link). The Raiders previously cleared a major relocation hurdle in October when Nevada Gov. Brian Sandoval and state Legislature signed off on a record $750MM in public money toward a stadium. If Adelson follows through on his commitment, the Raiders would take care of the rest and put forth $500MM. 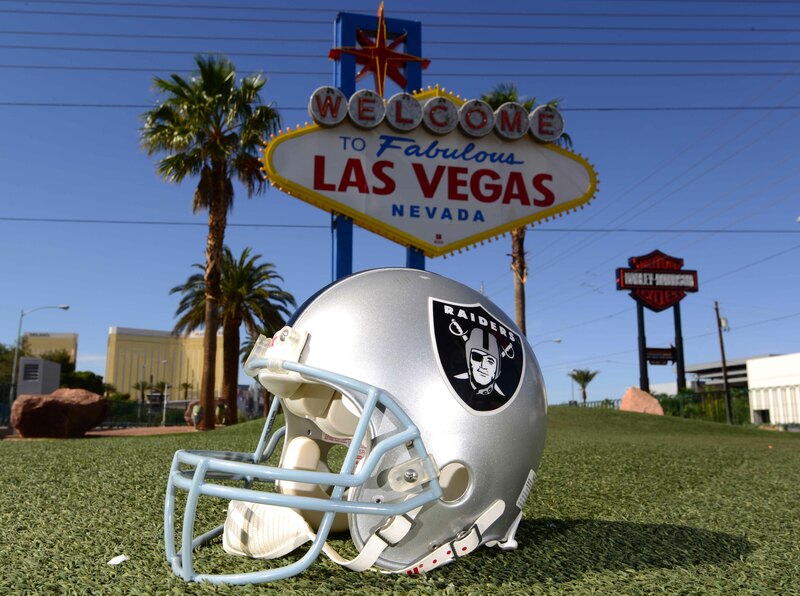 With Adelson on board, the Raiders would still have to file for relocation, which they could do this month, and receive at least 23 approval votes from the league’s other 31 owners to head from Oakland to Las Vegas by next season. The voting process would likely take place in March, Cole reported in October. Like the Raiders, the Chargers could leave their current home this offseason, but owner Dean Spanos hasn’t shown much eagerness to depart San Diego. The league’s finance and stadium committees will meet Jan. 11 to discuss the Chargers’ future, per the Associated Press, which could mean the team will hold off on announcing its 2017 plans this week, writes Kevin Acee of the San Diego Union-Tribune. The Chargers are facing a Jan. 15 deadline to choose whether to join the Rams in Los Angeles, but they could land an extension that would enable them to postpone the decision, a source told Acee. To this point, neither the Raiders nor Chargers have come close to finding stadium solutions in their current cities. Oakland, with the help of ex-Raider Ronnie Lott, has a $1.3 billion stadium proposal on the table, but the franchise doesn’t view it as economically viable. San Diego – both the city and county – and San Diego State are willing to put up $375MM toward a facility for the Chargers, who would contribute $350MM and receive another $300MM from the league. However, the Chargers contend that joint effort would still fall anywhere from $100MM to $175MM short of what it would cost to build a stadium, notes Acee. NFL commissioner Roger Goodell once again expressed a desire to keep the Raiders and Chargers in their current cities Wednesday, but he admitted that neither Oakland nor San Diego has made much progress toward a new stadium. “There’s not a stadium proposal on the table that we think addresses the long-term issues of the club that’s in those communities. So we need to continue to work at it,” said Goodell (via Eric D. Williams of ESPN.com). Raiders owner Mark Davis plans to relocate the franchise to Las Vegas, and though Goodell would reportedly like to prevent that from happening, he spoke favorably of Sin City on Wednesday. Goodell also indicated that “there is a growth” to the Las Vegas market, which is much smaller than the Raiders’ current home in the Bay Area. In an effort to keep the Raiders from leaving the Bay Area, officials from the city of Oakland and the Ronnie Lott-led Fortress Investment Group have proposed a $1.3 billion stadium to replace the Oakland Coliseum. Both the Alameda County board of supervisors and Oakland city council voted to approve that plan Tuesday, per Lorenzo Reyes of USA Today. However, there’s little optimism it’ll lead anywhere, with one league executive calling the bid a “carbon copy” of previous failed attempts. The Raiders’ relocation window is set to open Jan. 2, but the date will move back until the actual end of their season, per Ian Rapoport of NFL.com (Twitter link). That means the likely playoff-bound club won’t have the opportunity to vie for relocation until February if it makes the Super Bowl, and the deadline to file is Feb. 15. Regardless of how far the Raiders go this season, Steelers chairman Art Rooney II doesn’t expect the league to vote on their relocation plan until March, per Judy Battista of NFL.com (Twitter link). Fellow owner Jim Irsay, who runs the Colts, seems to think relocation for the Raiders and Chargers is a mere formality. Owners unanimously approved the Chargers’ nearly year-old agreement to share the Los Angeles market with the Rams on Wednesday. They also signed off on allowing the Bolts to use a debt waiver to finance part of the $650MM relocation fee. Chargers owner Dean Spanos has until Jan. 15 to decide whether to take his franchise to LA, and while he could perhaps extend that deadline, Irsay argues that there wouldn’t be a purpose. Spanos, meanwhile, reiterated that he won’t make a choice until 2017. Although the Raiders and owner Mark Davis appear to be moving full-steam ahead with their plan to relocate to Las Vegas, not every NFL owner is on board, according to Jason Cole of Bleacher Report (all links to Twitter). Multiple owners voiced various concerns with a potential move to Las Vegas at a recent league financial meeting, per Cole, who adds the NFL is now viewing the situation as a choice between two poor options. At least two owners on the 15-man finance committee voiced concerns about the “logic” of transferring the Raiders from Oakland to Las Vegas, according to Cole, adding substance to recent reports that have indicated that Las Vegas’ small market size — not its reputation — is giving owners pause. League officials seem to agree, as they presented a study that showed Vegas would have the smallest “potential season ticket base” in the NFL, per Cole. 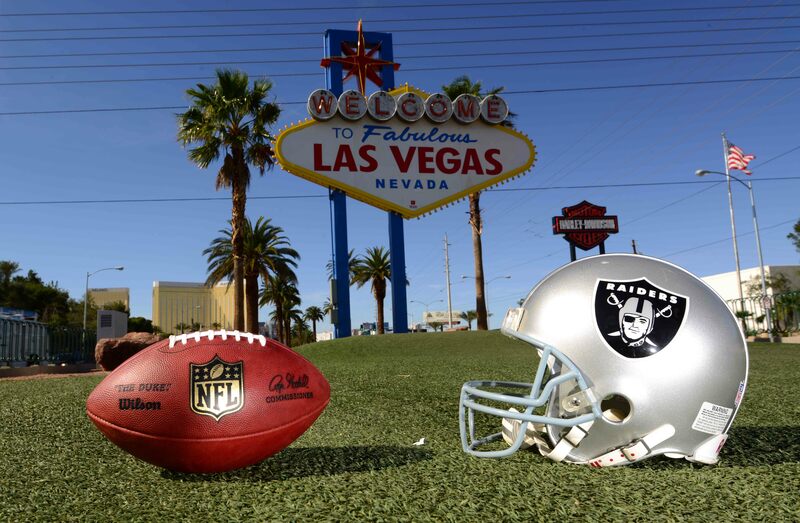 Another owner was skeptical of the relationship between Davis and financier Sheldon Adelson, and even argued that the Raiders should be wedged out of the NFL’s local revenue sharing agreement if they relocate to Vegas. Meanwhile, owners aren’t sold on Fortress Investment Group, which is set to contribute $600MM in private money towards a new stadium, and don’t believe the company is “trustworthy,” reports Cole. On the Chargers, Cole corroborates Jim Trotter of ESPN.com’s recent report that the Bolts are likely to move to Los Angeles in the near future, although no “definitive statement” was made at the league’s meetings. The Chargers are progressing towards a deal with the Rams to share a stadium in Inglewood, California, but owner Dean Spanos “loves” San Diego, per Cole, and is presumably ready to exhaust every effort to stay put.